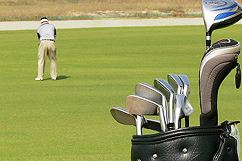 Enjoy your favorite sport and tee off in Cambodia. 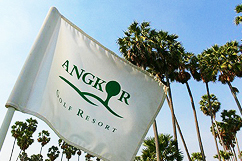 Take a different turn from your Angkor journey and enjoy and unwind in a relaxing game of golf. Please be aware that reservations are quite heavy around 7:00 – 8:30 pm. Cart Fee 1 pax USD 10 for 9 holes and USD 20 for 18 holes. Transfer from the hotel requires a surcharge of USD 25 for one person, USD 35 for two to three persons. Transfer free is separate. Additional charges will be implemented. •	Kindly indicate desired playing time.